Break free of the winter blahs with a spring break-themed party, Suits & Boots (which, granted, doesn't sound very spring break-like), hosted by DC101. Specials include tropical drinks, and beachwear is required attire. The party is located at TopGolf Alexandria (6625 S. Van Dorn St., Alexandria) and for every game of golf purchased, $1 will be donated to Dreams for Kids. 5-8 p.m.; advance sold out; $15 at the door. Eden Lounge (1716 I St. NW) launches its new monthly '90s-themed nights. The debut features guest host Dennis Haskins -- otherwise known as Mr. Belding from "Saved by the Bell." Eden's Green Room will transform into "a boombastic, side pony-tailed, head banging, teeny bopping monthly dance party." DJs will be spinning '90s hits, and period-appropriate attire (scrunchies! Docs!) is encouraged. RSVP online for free admission before midnight. Unravel a murder mystery at the National Gallery of Art (4th St. NW) with Watson Adventures. "Detectives" (OK, ordinary government workers and you) will gather clues and crack a secret code by answering questions about the art around them. 2 p.m.; $23.50 (advance purchase required).Adults only. 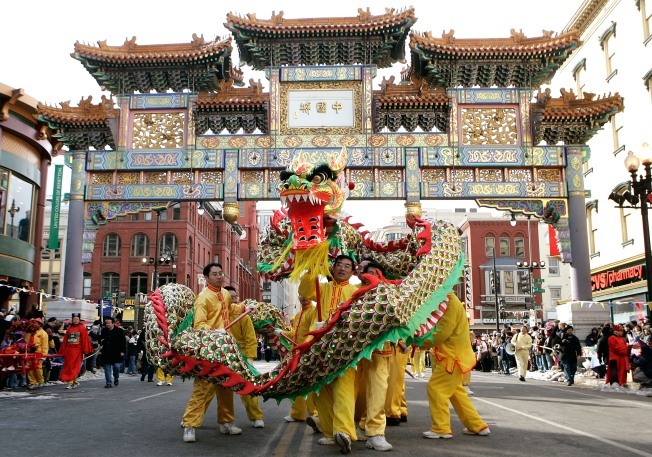 Celebrate the lunar new year during the Chinese New Year Parade, starting from 6th and I streets NW (see map of route here). More than 40,000 people are expected to watch the dragon dancers, lantern girls, high school bands and kung fu demos -- ending with a giant firecracker at 3:45 p.m. Festival noon-5 p.m. at Chinatown Community Cultural Center (616 H St. NW); parade 2-5 p.m.; donations accepted. The Tsingtao Year of the Dragon Chinatown Challenge is a scavenger hunt that, of course, includes drink specials -- in this case, $3 Tsingtao drinks at participating locations. T-shirts will be given to the first 50 contestants. The last day to register for this event is Friday, Jan. 27. 1 p.m.; $10 (must be 21 or older). Best. Idea. Ever. Enjoy a variety of sweet treats during the McLean Chocolate Festival, held at the McLean Community Center (1234 Ingleside Ave., McLean, Va.) -- from candy and cake to cookies and ice cream. Even better, 25 percent of the proceeds will go to local organizations. Noon-5 p.m.; $1. Free admission for kids under six.